I no longer qualified for my spot). Back then I had time for me, time to focus on the growing bump. I was preparing myself for. be at home working but fall asleep on the keyboard (those keys leave very dodgy sleep marks!). about my growing baby this time round, or that I’m unfazed by the miracle that’s forming inside of me. It’s not that at all. I would never take for granted the hugeness of what my body is currently busy doing. It’s more that I have to focus on the two lives it’s already given me to care for and nurture, too. on a show while pretending to be PT Barnum, or building new houses made out of pillows and blankets for us to live in. There’s little time to sit down and do nothing. I always have a role to play. Worm provider, rocket puller, hammock surveyor – the list is endless. So during the hours they’re with me, especially if I’m home alone with them, my pregnancy tends to take a back seat. To be honest, they don’t seem to mind that I’m slower, that I can no longer be the horse and give them rides, or that they can’t jump on me like they once did. They have embraced my growing bump in a way that tells me they’ll adapt well when the little one is with us. Kisses, cuddles and words of comfort are already given by them both, and it’s adorable. two ever were. I love it. 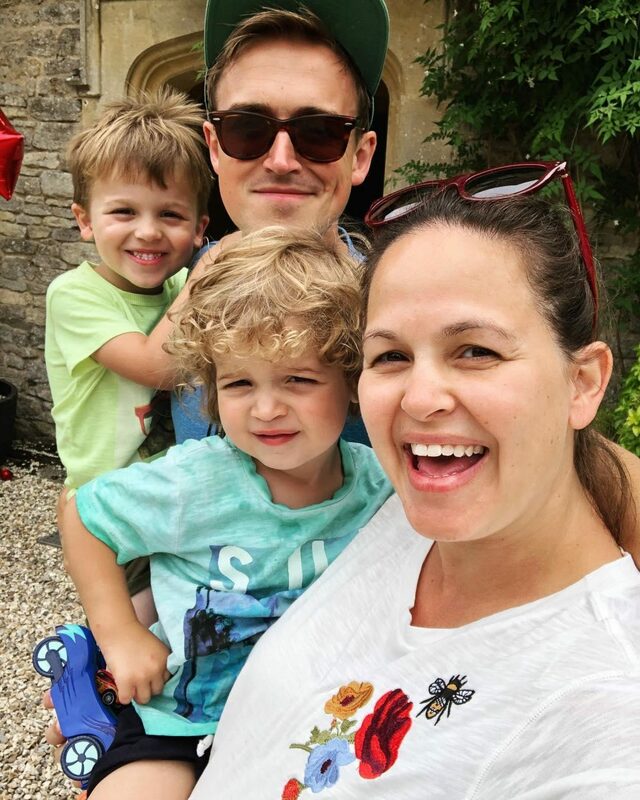 So, yes, being pregnant with children already in tow is very different to being pregnant with none, but it’s also amazing being able to share it with Tom and the mini loves of my life, as well as taking those moments just for me to focus on the here and now. Life is set to change once more, but what a brilliant change it’ll be.